The Chadian Hélène N'Garnim Ganga has been appointed as general counsel of the African Development Bank (AfDB). She joins the senior management team, which also consists of the new president of the institution, Akinwumi Adesina. A graduate of Harvard Law School in the United States and from the Sorbonne in France, Hélène N'Garnim Ganga started her career as a lawyer and legal adviser in the private sector where she specialised in development projects, particularly in Africa. She then joined the French Agency for Development (AFD)as the legal director and later joined the AfDB to lead the operational and policy division. 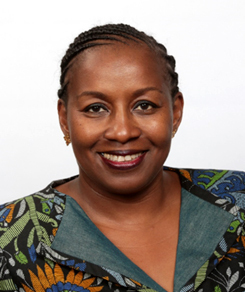 She was then appointed as the AfDB Resident Representative in Mali, where she has been active in supporting partnerships with the donor community and has been working to engage dialogue with the authorities about economic and financial policies. She has also led, on behalf of the AfDB, an evaluation process in Northern Mali, which was a part of the Malian peace agreement.